Candidates: The deadline for candidate applications is Monday, March 28, 2016. Each candidate must submit a one-page campaign statement, which will run in the Legacy Ledger on April 8th. Voter eligibility: Eligible voters shall include parents or guardians of all children currently attending Legacy Academy (no more than two votes per household); teachers currently employed at the school, and paid employees of Legacy. Each person may vote only once. • Voter will sign official voting roster confirming their eligibility to vote. • Voter will present Voting Official with valid I.D. • Voter will follow instructions on ballot, vote as he/she determines, and place the ballot into the collection box. • If a person is unable to vote at the school on April 16th, absentee ballots will be available at the Legacy office April 11– April 14. These ballots must be returned to the school office no later than 7 pm on April 15th to be counted. If the election scheduled on April 15th has to be cancelled for any reason, it will be held on the following Friday. The results of the election should be known the night of April 15, 2016 (unless there is a need for a run-off or a cancellation). A report will be made available to the candidates and current board members after the counting of the votes is concluded. An announcement to the entire school population concerning the results of the election will be made on the following morning. Driveway – The work on our driveway will soon be underway and we could use some help. We need a 36” by 44’ culvert. We are hoping to make a connection for a discount or donation and transportation getting it to the school. We are also looking for a connection for reduced cost or donated concrete. Summer Mowing & Weed Whacking. We are putting together a team for summer lawn care. We will need to mow and weed whack the property three times over the summer. Please e-mail Anne anne.stanley@legacyk8.org or call (303) 646-2636 if you can help! Fourth grade trip to Colorado History Museum. Nerf Night 6:00pm – 8:00pm in Legacy Academy gymnasium! This is an excellent time for families to play together. Parents are encouraged to play! We have successfully raised funds for our Character Education Program and now we are trying to fund a new sound system for the school. Ages 7 and up (6yr olds may play if a parent is in the gym with them at all times, but all parents should stay for the event). The cost is $10.00 per person. Students may not bring their blasters to school during school hours. Bring your own blaster to the event. Do not bring ammunition, ammunition and protective eyewear is provided. Parents will be required to sign a waiver prior to this event, no exceptions will be made. The waiver will be available at the office during school hours or at the event. If any questions, please e-mail LABOD@legacyk8.org. Spring Break! Wishing everyone a great break with safe travel! Monday, March 28 ~ Everyone returns from Spring Break! Come join us for this year’s Mother / Son Social – Legacy’s Amazing Race!! It will be an exciting time as Mother and Son explore seven different continents, seven contests and seven selfie stations … to finally race across the finish line! There will be amazing prizes and Appetizer style of food. We look forward to seeing you there! An event sign up sheet has been attached below. The cost is $15 per family. Please make checks payable to Legacy Academy PTCO. It is time to order yearbooks for the 2015-16 School Year. The soft cover cost is $30 and the hard cover cost is $40. Please order by Thursday, March 17th 2016. Orders may be dropped off at Legacy or you may order online with a credit card. Visit dr_photo.com. The school photo password is LGA16YB. Spring photos are this Friday, February 26th. Dress in your own style and bring your own small prop, something that shows your personality. A selection of props will also be provided by DR Photo. In 2-3 weeks a proof will be sent home with the images of your student on all the available backgrounds along with ordering instructions. The carnival meeting that was scheduled for tonight, February 22nd has been cancelled. If you would like to volunteer to help with this event, please sign up HERE. If you have any questions, please email kathy.smith@legacyk8.org. Have you purchased your Avs tickets yet? There’s still time. The Elizabeth Community Day at the Colorado Avalanche is March 5 at 1 p.m. Tickets are only $24.00! Order tickets now online at http://www.avstix.com/elizabeth2016. Some lucky fans will be chosen to sit on the Avalanche bench before the game. We wanted to take a moment to say Thank You! to all those families that have participated and supported our Nerf Night Fundraisers. We also wanted to let you know what we have been able to do with the money we have raised so far. We have fully funded our Character Education Program ($1500), we have also been able to provide funds towards the new sound system for the school ($2500), and have been able to purchase new, longer lasting equipment for future Nerf Night events. The sound system was also made possible by generous grants from The Elizabeth Education Foundation, IREA, Legacy PTCO, and donations from individual Legacy Parents. We are grateful for the support of each of these organizations and our Legacy families! Thank you again for all who have supported our school! Calling all 3rd– 5th grade girls. Come be a part of the fun! Join us at Girls on the Run! Girls on the Run is a nonprofit organization dedicated to helping girls stay out of the “Girl Box” – a place where girls are valued more for their outward appearance than their character inside. We are working to reduce at-risk behaviors such as substance abuse, eating disorders, teen pregnancy, and poor nutrition. Online registration starts February 8. Practices are on Mon/Wed from 3:30-5pm. The fee is $170.00 per girl and the program will start the week of March 7th and run through the week of May 16th. 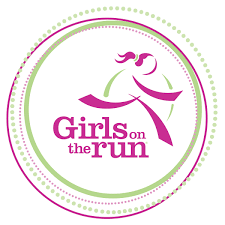 Girls on the Run 5K is on May 21st at Cherry Creek Reservoir.